Clear Braces can straighten your teeth without the use of actual fixed braces. To discuss a clear braces solution in the Pittsburg, CA area, please feel free to contact us to schedule an appointment. The appliances are made through a combination of your doctor’s expertise and 3-D computer imaging technology. As you replace each appliance with the next in the prescribed series, your teeth will incrementally move, week by week – until they have straightened to the final position your doctor has prescribed. For more information about Invisalign or to schedule a consultation with Dr. Jafari, Dr. Hwang, Dr. Modaressi, Dr. Hocking, Dr. Bordow, Dr. 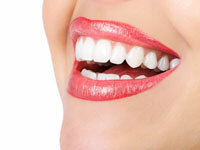 Suh or Dr. Moavenian, call our office in Pittsburg, CA at Sky Dental Team Phone Number 925-432-2444.